To effectively sell your products to consumers, you need to understand the consumers to whom you’re selling. And one way to figure it out is by developing buyer personas. 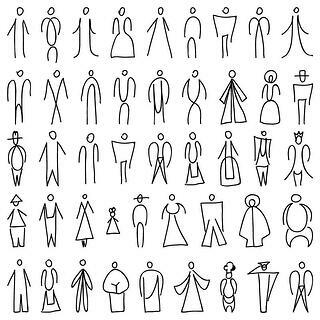 Buyer personas are archetypes of your ideal customers, and they can include existing as well as potential customer types. Buyer personas are important for guiding all aspects of your marketing plan, from website and blog content to social media and email strategies. Conducting interviews with your customer or prospective customers who represent your buyer personas can help you gain insight you may be missing, and you can make the most of the interview by asking key questions and covering important points during your call. Here are some topics to ask about. Asking basic demographic questions is an ideal way to begin building a relationship with the interviewee, preparing them for more in-depth questions. Demographic information can additionally help determine the type of content to create as well as the most effective place to promote it, be it Facebook, LinkedIn, Google AdWords or another channel. You especially want to focus on their online habits, asking about their social media platform memberships, how frequently they interact on them, and any industry or other websites they regularly visit or subscribe to. All buyers have a process they go through before they make a large purchase. They may read reviews, perform product comparisons, and research various companies that offer the solution they need. Ask your persona interviewee to provide an overview on a recent purchase they made, walking you through the steps that ultimately led to their final purchasing decision. Pay particular attention to their specific pain points during the purchasing process, and how those pain points were addressed. Focus on what made them choose one product and company over another. Understanding what a persona’s day looks like unveils critical information that points to their biggest challenges and where they need the most help to be successful at their job. Customers who agree to be interviewed are likely to already have a positive view of your company, and you can learn a lot more about this relationship with additional inquiries. Ask how they decided to work with your company in the first place. Find out if they were comparing other vendors and, if so, what ultimately swayed their decision in your direction. Learning more about the ongoing relationship with your company is also important. Here you can ask what they think is the key differentiator that sets your company apart from competitors. Also inquire about things they admire and things they feel could be changed. Having a real, live customer on the phone for your persona interview can also uncover crucial information regarding the type of content they want, need and would enjoy seeing on your website. Take advantage of this direct access to find out what content they would most like to see as well as what content they feel would be most beneficial to help someone in the midst of making a buying decision. Buyer persona information can serve as the entire backbone of your marketing plan, and one of the most effective ways to develop those personas is through one-on-one interviews. Prepare your questions in advance to make the most of the interviews that can, in turn, help you make the most of your overall marketing and customer relationship strategies.